AFM Safecoat - What Stain? Be certain to prep surface by removing old stain and sealer. Choose a shade from multiple AFM stain finish colors. Apply Safecoat DuroTone. 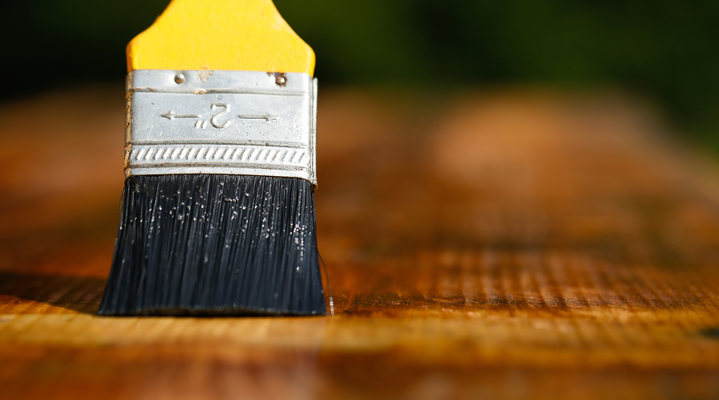 This fast-curing, semi-transparent stain will permeate the porous wood surface providing color stability and a durable finish. And with no aromatic solvents or formaldehyde, you can rest assured a healthy project. For a final protective finish, Safecoat Hard Seal is mar resistant and effectively eliminates off gassing from any toxic chemical compounds.